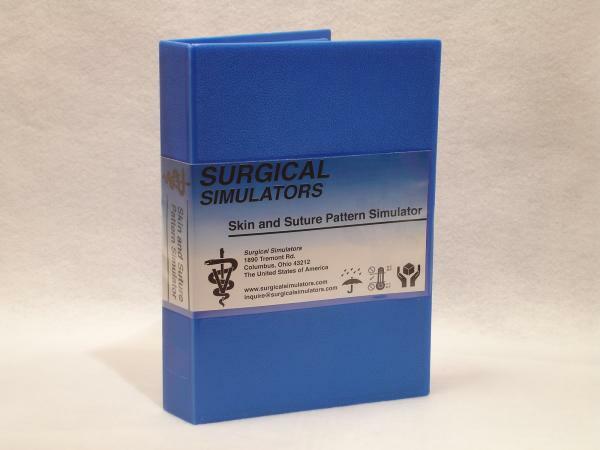 A reusable simulator for the practice of instrument handling skills, suture patterns, and intradermal suturing techniques, which allows the student freedom to practice surgical skills at home or in class. The simulator imitates the suturing qualities of dermal tissue, and consists of a flat laminated urethane-polymer mould positioned over, but not attached to, a mid-density foam core for support. The simulator mould is secured to a stow-away base with rubber feet to prevent slippage. 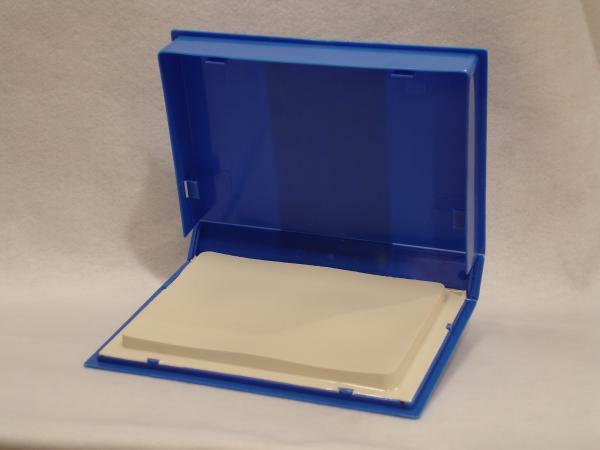 The base and incorporated case are made of high-impact plastic to resist physical and moisture damage to the urethane-polymer mould, and the size of the simulator is approximately that of a 3/4" professional video case, allowing easy storage and transport. ID label and model-specific instructions are included.